BoConcept thinks and delivers coordinated and leading design to end-users, where every single detail is sophisticated. The new furniture series within e.g. 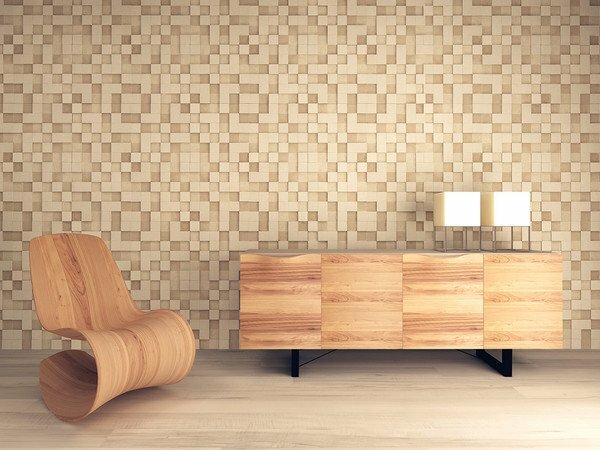 shelves and sideboards, includes a strong rising in 45 degrees connections, where there is a high requirement for the production, to make a good, very precise and long-lasting collection, which can be sold as a knock-down. At the same time, the custumer should end up with the well-known high BoConcept quality. Collaboration with leading, international furniture designers claims a big challenge in the production, with constantly many new models with creative character. Simultaneously it is required, that the production works effectively with such low production employee costs, that it pays to produce competitively in Denmark. The main request for the new production cell was flexibility, both regarding to the size of the series, but also the possibility to produce new types of collections, drilling and other adaptations e.g. new fittings. Even precision, which had to be very high, as the object shouldn´t get milled, but first edge glued and then reworked. “That we couldn´t achieve with production lines. That’s why we chose an effective CNC cell, where we reach optimal flexibility and at the same time a good capacity. With this logistic it has a low staff requirement,” says production manager Kim Sejbjerg. 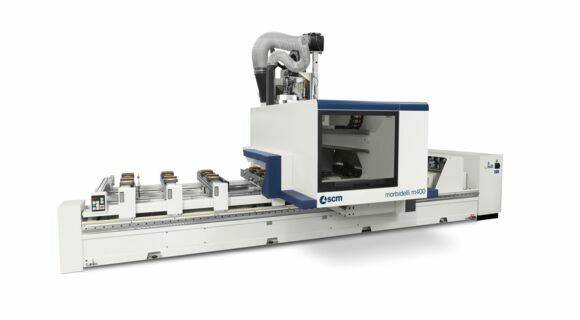 The choice fell on a solution from LINDLARSEN, containing two Morbidelli Author M400 portal build, 5-axis CNC machines. Loading and unstacking happens with a robot from the stack. The stack is transported in and out of the cell on two belt conveyers. In the cell a precise alignment of the object is implemented. The Morbidelli machine is outstanding with a very fast drilling process and tool change. Depending on object type and working process, the cell delivers continuously two finished pieces per minute. Both machines work in pendulum, which gives the best utilization. Furthermore, the 5-axef routing-unit optimizes the process with saving machining time and tool change. “We chose this solution, because this was optimal related to capacity, flexibility and investment. At the same time it required less space and could deliver the demanding high precision”, says project leader Poul Brændgaard. “The CNC-cell from SCM produces continuously and has to get staffed with only 1/3 operator, which has to take care to feed the stacks and register them on the belt conveyers, do the quality control etc.” continues Poul Brændgaard. With the new cell it is therefore the target, to automate the previous specialized production, which becomes due to the many new models a continuous growing part of the whole production. The finished cell was developed in a close collaboration with BoConcept, LINDLARSEN and SCM Group.